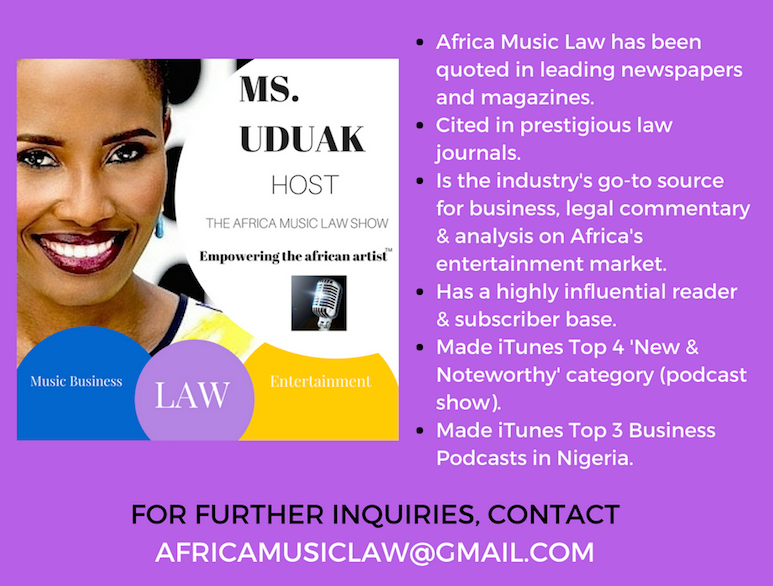 Ms. Uduak, host and producer, celebrates 100 podcast episodes of The Africa Music Law Show on the 100th episode. 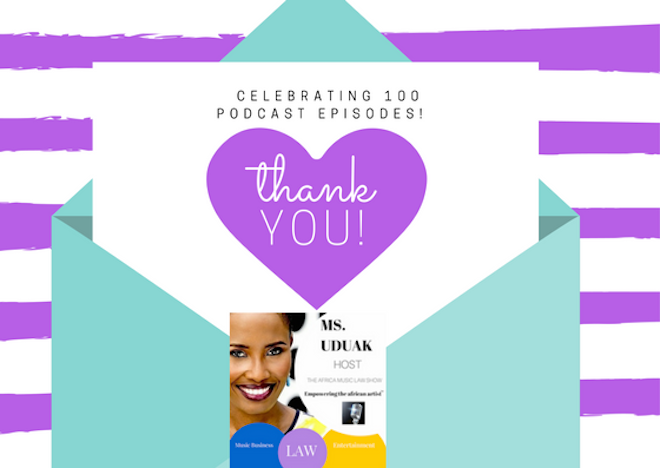 She reflects on the genesis of the show, the most popular podcasts, and shares shoutouts from listeners. Enjoy!